Worrying about the distorted picture ( a black bar on the right side ; lowest part of picture appears on the upper top )? Just one little trick cures the distorted picture problem : Switch on Apple TV First , then BV7!!. 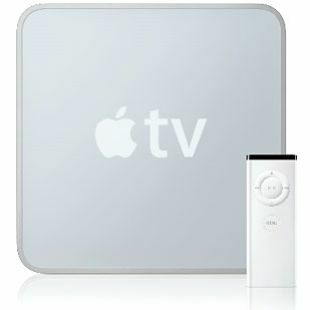 Initial reports coming through (April 2007) from our members are that Apple TV with the BV7 is amazing, with clarity and sound of the very highest quality. Early days of course, but initial reports are excellent. 2. A normal DVI cable is fine as opposed to DVI-D or equivalent. A White/Red RCA Cable is needed for sound . 3. Call up the PC function of Beo4 , and follow the manual for connecting a PC. 4. In some cases, software version 6.3 is upgraded. 5. After installation, if no picture is displayed, unplug the Apple tv for 1 minute then plug it back in. You will see an apple logo. 6. Always remember - Switch on Apple TV first , then BV7. Otherwise you will encounter the distorted picture problem. 7. Note - There are only 2 choices available : 720p and 470p. 9. You can improve the picture quality by setting Hi/Low HDMI brightness. 10. Switch off the Apple TV by holding the play key of the remote for 6 seconds. Many thanks to BeoWorld member "godotz" for imparting his knowledge!